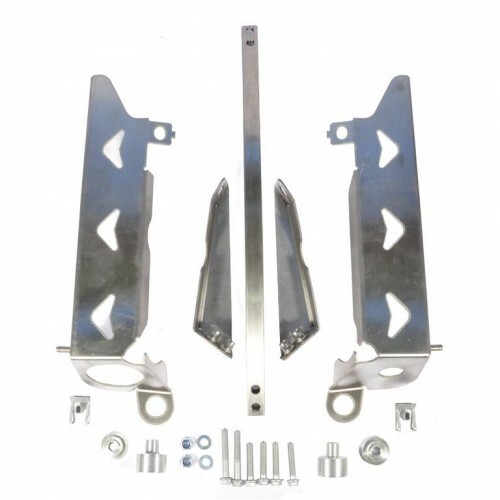 This laser-cut 1,5mm stainless-steel Radiator Protector is designed to protect the radiator,but also has our unique design of attaching the side panel screws to it,therefore removing the possibility of any damage being caused to the radiator in the event of a fall,or overtightening the M6 rad screen screws that fix into the top of the OEM radiator,resulting in a leak. It will fit all Enduro E,R and SMC,and works with or without our EVO 1 or EVO 2 Tank & Fairing Kits fitted. 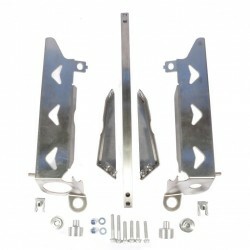 It is also designed to work in conjunction with our Engine Toolbox and our Radiator Screen. Supplied with all necessary screws and fixings.